WIP in Hand: To Commit or To Quit? When we were children, my two older brothers and I were given many opportunities to try out any extracurricular activities we wanted. My parents’ rules were, if we decided to try something new, we couldn’t quit the entire season. We had to stick it out even if we didn’t like it. We NEVER had to go out for it or try it again if we hated it, but once we joined, we had to finish. It was a lesson in not giving up, not quitting, not letting your teammates down, and a whole lot of life lessons bottled up in that one rule. It was good and bad. Good because I found out that I enjoyed being part of the chess club and became the chess club president, but bad when I realized my athleticism consists of how hard it is to dodge a volleyball coming straight for my face. Yeah, that smarts. My mother is an avid reader. On average she is able to read three books a week. She told me long ago that when she decides to read a book she has a rule; once you commit, finish it. Even if it’s challenging, once you begin, don’t stop until the end. That rule, again. I am to crochet, what my mother is to books. Crochet is my passion, my delight, my respite and relaxation from the crazy chaos of life, but my threshold for commitment has yet to reach the standard of sticking it out no matter what on each project I begin. I have a half dozen WIPs (Work in Progress) as we speak, maybe more, all unfinished and no definitive plan to finish. I need to re-learn that rule to commit and finish, but my attention span is different with crochet, and it isn’t always the easiest thing to do. Sometimes, the easiest thing to do is walk away and leave a project alone for a little while…or a long while. Several years ago, I purchased beautiful wool. I had begun to make lovely granny squares with the intent to put them together for a blanket; this was BEFORE I started the 365 Days of Granny Squares Project. Those early squares are still waiting in a basket to be made into that beautiful throw I always planned to get to. I started a butterfly project a month ago, it sits in a bag unfinished because I didn’t like the shape of the thorax and it was frustrating to frog and change it over and over so I tucked it away for an “I will revisit this someday” project. 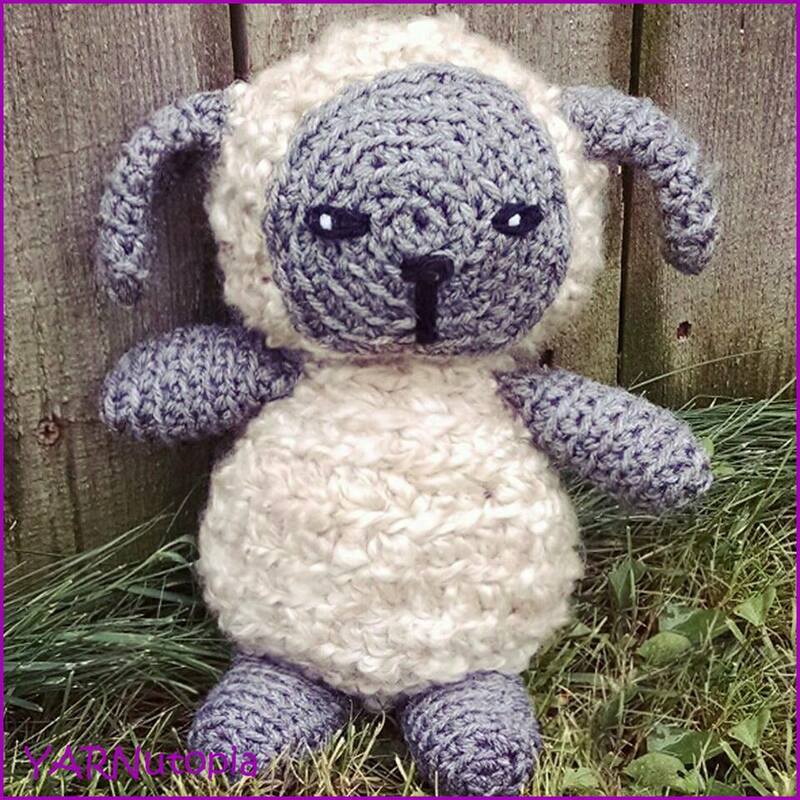 As I sort through my crochet and craft area, preparing to transfer several things to my new home, I am surprised by how many projects I have stumbled across that I have yet to finish. A partially finished cowl, a graphgan, a cute start to a hat, a baby blanket in its early stages. What in the world was I thinking?! It’s a bit sad really, I have a great beginning but no ending to these lovely pieces that sit in boxes waiting to be brought back to life. I have resolved to get to work on finishing what I started, to revive that rule. Maybe now is the time that each project can be brought back with the potential that was always there, it just took this time to realize it! The future is bright for those lost works in progress! My work is cut out for me, but a stockpile of great material awaits our YARNutopia community! I see lots of tutorial and pattern potential! I know I am not alone when I say I have a few projects left unfinished. Are you that “commit and don’t quit” crochet artist? Or are you the one who has your works in progress on hold to revisit someday? Share here on your strategy on tackling your long lost WIPs (Work in Progress)!